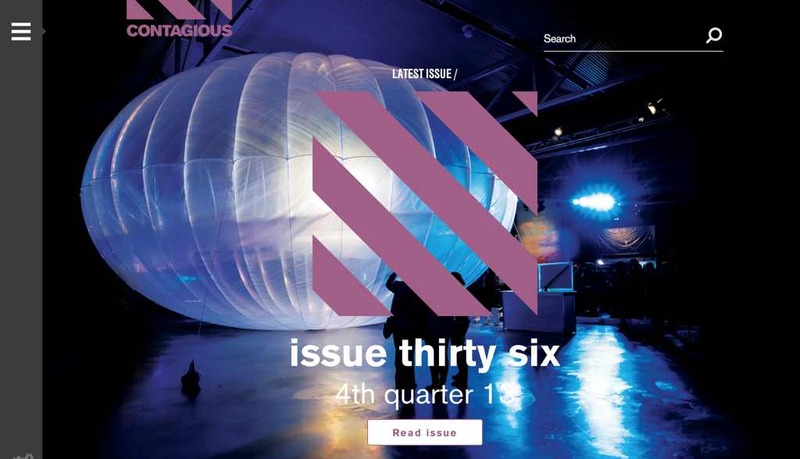 Contagious Magazine is a quarterly print publication covering the intersection between marketing, emerging technology and consumer culture. Each subscriber gets access to our ten-year archive. Contagious I/O is a collaborative research platform, customisable by users’ needs and featuring over 7,000 of the world’s most creative and effective brand campaigns, strategies and trends.